Your default Newswire Dashboard view includes all the outlets in our database. If you wish to limit this to matches from your customers only, you can control this from the Advanced filtering panel. That's it! 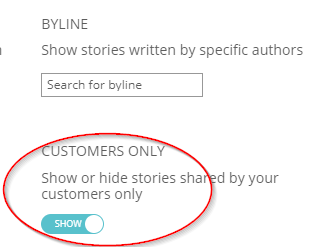 You'll now see matching content from your customers only.